US Navy photo CAPTION: Vice Admiral Donald S. Jones, 76, the Naval helicopter pilot who in 1969 plucked astronaut Neil Armstrong from the Pacific Ocean after Apollo 11 returned from the moon, and who, 17 years later, was one of five Pentagon officials involved in the beginnings of the Iran-contra scandal, died of cancer Dec. 13 at the Essa Flory Hospice Center in Lancaster, Pa.
Vice Adm. Donald S. Jones, 76, the naval helicopter pilot who in 1969 plucked Apollo 11 astronaut Neil A. Armstrong from the Pacific Ocean after he returned from the moon, and who in 1986 was one of five Pentagon officials initially involved in the Iran-contra scandal, died of cancer Dec. 13 at the Essa Flory Hospice Center in Lancaster, Pa. He previously lived in McLean. In the late 1960s, Adm. Jones was commanding officer of a helicopter anti-submarine squadron when he was ordered to develop night and all-weather astronaut recovery procedures for the Apollo program. He was designated the helicopter recovery pilot for the first moon flights of Apollo 8 and 11. Adm. Jones was among officers involved in the Iran-contra affair, though he was not charged. In 1986, he succeeded then-Maj. Gen. Colin Powell as military assistant to Defense Secretary Caspar W. Weinberger. Four times in 1986, Weinberger secretly and illegally ordered his deputies, including Adm. Jones, Powell, Richard Armitage (then assistant defense secretary for international security affairs) and Deputy Defense Secretary William H. Taft IV to transfer Army TOW antitank missiles and Hawk antiaircraft components to the Central Intelligence Agency. The weapons were shipped by the CIA to Iran in exchange for American hostages held in Lebanon. The profits from the sale went to Nicaraguan contras. Weinberger, who was charged with four counts of false statements and perjury, was pardoned before trial by President George H.W. Bush. 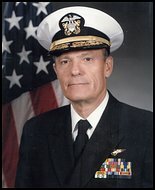 Adm. Jones, who was not charged, retired from the military in 1987. Adm. Jones was born in Madison, Wis. He graduated from the University of Wisconsin and received a master’s degree from George Washington University. He completed the Naval Postgraduate School course in National Security Affairs and courses at the Industrial College of the Armed Forces. He became a naval aviation cadet in 1950, beginning a career-long association with helicopter and fixed-wing antisubmarine warfare. He had seven command assignments at sea, and was commander of the 3rd Fleet, based in Hawaii, from August 1983 to September 1985. He flew more than 6,000 hours in 20 aircraft types and made more than 2,000 shipboard landings. He also worked from 1973 to 1975 at the Naval Intelligence Command as head of intelligence operations and as the deputy director of naval intelligence to the chief of naval operations. He was the only officer to have been senior military assistant for both the deputy secretary of defense and secretary of defense. 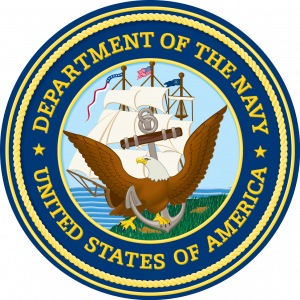 Among his military awards were two Defense Department Distinguished Service Medals, two Navy Distinguished Service Medals and the Legion of Merit. After his retirement, he was a consultant, a corporate officer with Tracor Inc. and a trustee of the Naval Aviation Museum Foundation, the Naval Helicopter Association and the Association of Naval Aviation. He was a past vice chairman of the Retired Officers Association. He also was a member of the board of Aeroflex Corp. He had lived in Pennsylvania since 2000. Survivors include his wife of 52 years, Marilyn Turner Jones of Lancaster, Pa.; four children, Cary Meyer and Julie Northcote, both of San Diego, Gail Litrenta of Herndon and Todd Jones of Lititz, Pa.; and 10 grandchildren.